A hospital trust’s bid to reduce car parking costs for friends and family visiting sick relatives has been criticised for its ‘lack of generosity’. Julian Knight, the Conservative parliamentary candidate for Solihull, also reprimanded Solihull Hospital for failing to properly advertise its cut-price parking. Visitors are currently allowed to buy 20 parking tickets for £10 – 50p per visit, significantly lower than the £5.75 daily tariff. Hospitals in England were told to cut the cost of parking for certain groups under new Government guidelines in August. Ministers said relatives of people who were seriously ill or had to stay in hospital for a long time should be given free parking or reduced charges. Concessions should also be offered to people with disabilities and NHS staff whose shift patterns meant they could not use public transport. 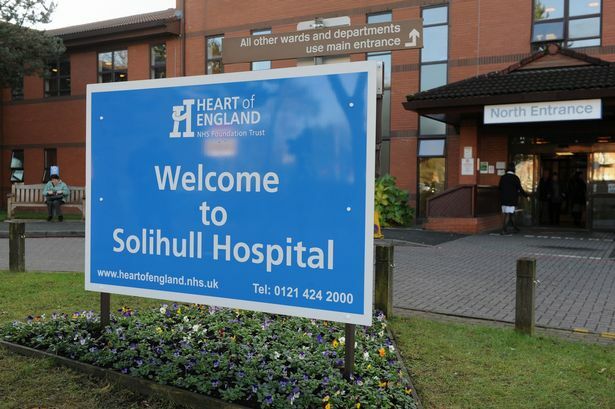 Mr Knight told a parliamentary debate: “It seems that it is entirely at the discretion of ward sisters whether or not visitors are told that there is an option for lower cost parking at Solihull Hospital. “This looks to me as a nothing more than a gesture to try to head off the growing criticism of hospital parking charges at Solihull and Heartlands hospitals. Mr Knight said he would be meeting with management at the Trust to press for fairer hospital charges. A trust spokeswoman, said: “We are committed to providing our patients, visitors and staff with safe, cost-effective parking. “We offer discounts to anyone visiting the hospital for more than one day, giving frequent visitors greater savings.